Pizza Style is a project conceived by the company Haveit srl, which takes care of the AVPN (Associazione Vera Pizza Napoletana) merchandising. All the accessories made for the professional pizza chef who wish to stand out in terms of quality and exclusivity, made with the same care and passion with which every day we protect the Neapolitan Vera Pizza in the world. High workmanship and functionality are combined with a lively and evocative design, inspired by the symbols that have made Naples famous and loved all over the world. All accessories can be customized on request and add to your business an invaluable value: the value of a product of excellence, which every day conquers with its taste and its history millions of customers around the world. The True Neapolitan Pizza! Pizza Style offers to its customers not only uniforms but also personalized t-shirts, just like this one, dedicated to the historical eulogy of the art of Neapolitan pizza maker as a world heritage. 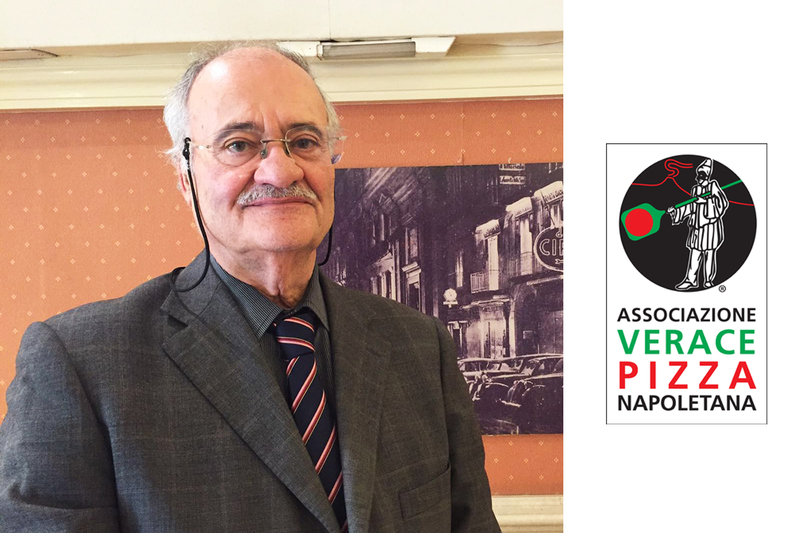 A short excerpt from the interview with Antonio Pace, president of AVPN, who explained the importance of the Pizza Style project. "Pizza Style aims at enhancing not only the pizza product, but also those behind it, that is the people involved in this process of protecting quality and tradition. People are what Pizza Style wants to put at the center of its mission, through the acquisition of an innovative and highly professional style that at the same time testifies the quality of production and the passion invested in the profession. As well as simple and genuine ingredients can produce one of the most prestigious and loved dishes of all time has been born, so even a modest job is turning into a profession of great importance. Do you think it's the right metaphor for the future of pizza chef who wears Pizza Style? Our Association have always considered the Pizza Style project as a nerve for the continuation of our activities, since the image of the pizza chef passes not only through its product, but above all through a coordinated image of the whole room and staff operating in the activity. People, with their commitment and their passion, give value to the final product. The Pizza Style project recalls the concepts of quality and enhancement also professed by the prestigious AVPN Association, offering a new image of the professional pizza chef and giving the right dignity to a job that is based on the values of this association. Do you think it's important to enhance the image of the pizza chef through professional clothing? Of course. Since we founded the Association in 1984, we work towards the goal of enhancing not only the True Neapolitan Pizza but also the image of the pizza chef, giving the fair dignity to this demanding work, unfortunately not always recognized for its real value. So our main competitors were the sandwich shops, in particular the fast food that came from America and that focused on an efficient and coordinated image not only of the restaurant but above all of the work staff. In those years, to tell the truth, in the pizzerias you did not think about the image and clothing: I remember that the most elegant pizza chefs were in white shirts, someone else still in a undershirt. It's been a long time since then, and I think that one of the tasks carried out by the Association, together with making the Neapolitan pizza known in the world, was to give birth to the pride of being a pizza chef, enhancing their profession and giving them dignity, through jackets similar to those of the chefs."